Last weekend, 5th years Clodagh Leahy, Emma Fitzpatrick, Grace Dempsey and Aoife Holland, along with TY’s Niamh Ryan, Seona McKittrick and Siobhan Kelly travelled to Trinity College to compete in the annual PhilSpeaks debating competition. 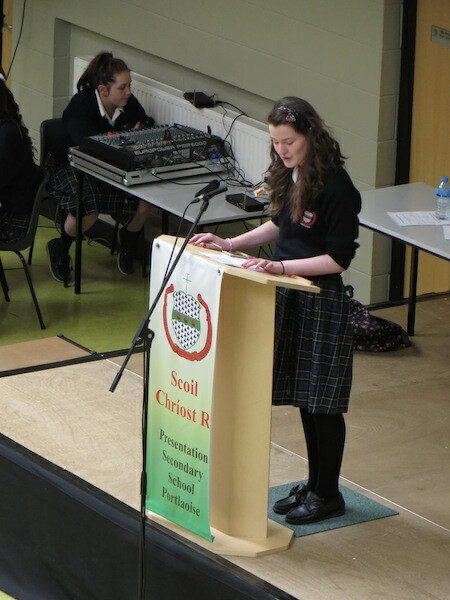 The girls got through four rounds with the team of Clodagh and Niamh getting through to the semi-finals. They debated teams from all around the country on motions such as abolishing the monarchy, feminist icons and social media as a news source. It was incredible experience for the girls and they will always remember and value it.